There has been some discussion lately about plugging tires. 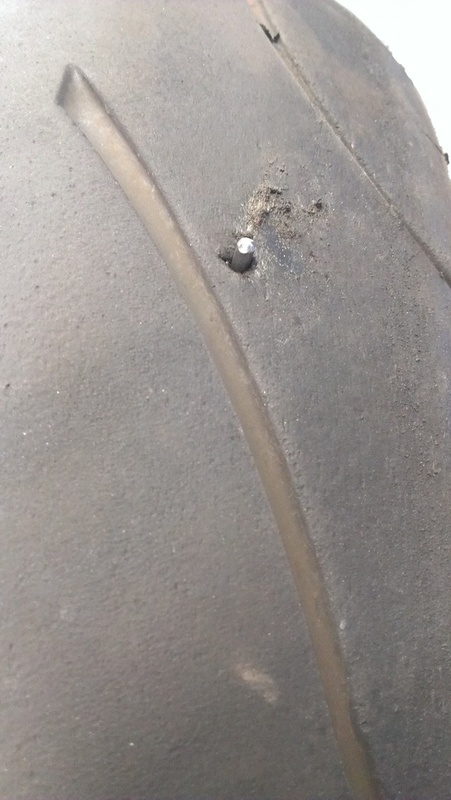 So, after ending up with a flat this morning and needing to do a roadside repair, I thought I should do write up on how to actually plug a tire. Plug kits are pretty cheap and worth carrying with you. 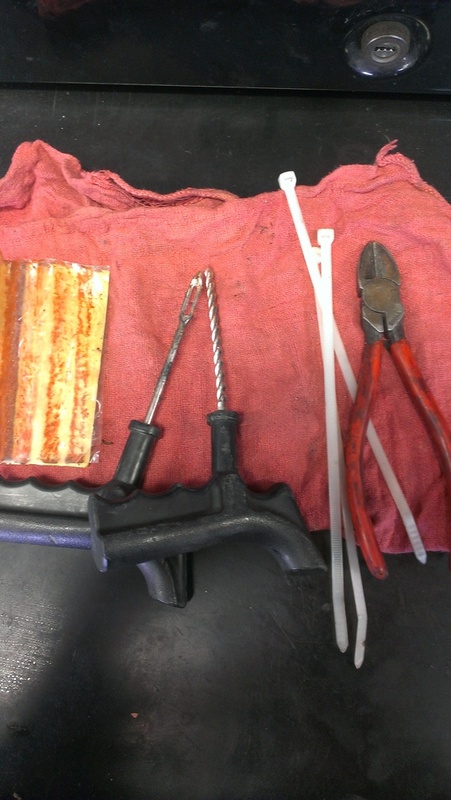 Should a flat occur, you can limp to a gas station or a place with compressed air (a bicycle pump works in a pinch too) and do the repair to get on your way. This does not belong in my tire!!!! Remove the nail. Note the angle that it went in. Ream the hole with the reamer a little. Go at the same angle that the nail was in at. You don't need to get crazy with it, you're just trying to open up the hole a little bigger to allow room for the plug. Thread the plug through the eye of the tool. Pull out the reamer and put the plug tool in the hole. Do this fast as whatever air you have left will escape quickly. 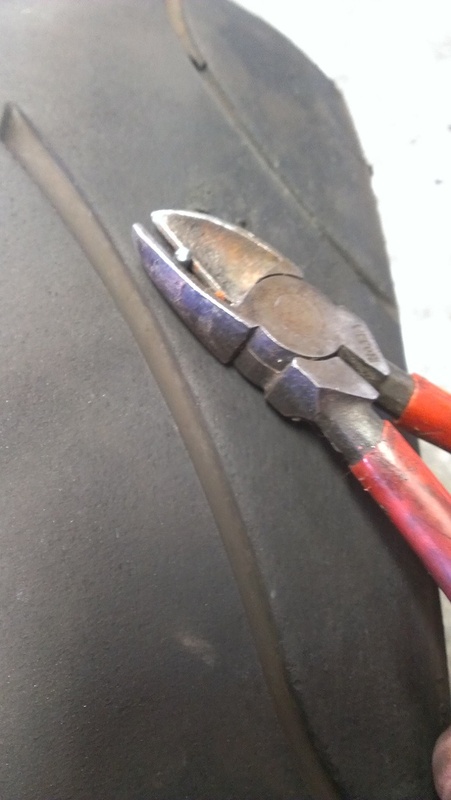 A tire with some air in it is easier to get the plug in. If your kit comes with glue, put some on the plug at the eye of the tool. If not, don't worry about it. It will work good enough without. Push the plug in. Be careful not to push it all the way in. Leave about 1/2" sticking out. 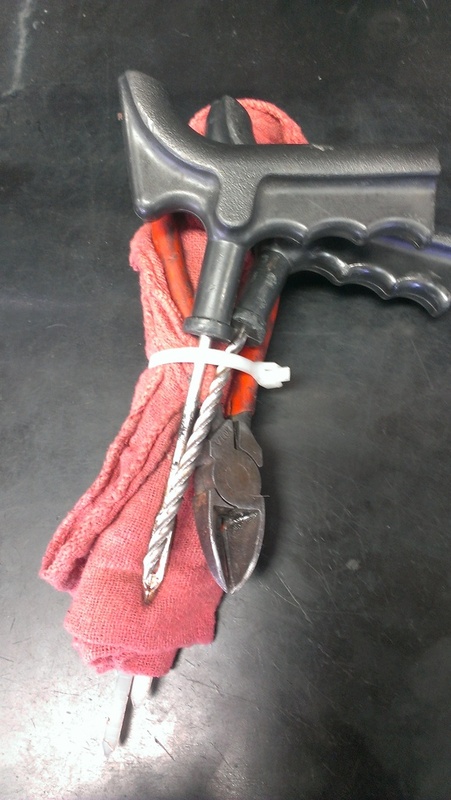 Twist the tool 180 degrees so it will knot on the inside and pull the tool out. Trim the excess with the pliers. Fill with air and you're done. The only thing that I would add is to insure you have all your components laid out and at the ready including having the plug threaded into the tool, before you actually remove the offending object from the tire. You want as little air escaping as possible. You guys ever use a mushroom-style plug for a motorcycle? Nice write up, demon! I think Conrice is referring to a 'plug-patch' type plug. Much better but downside is need remove tire from rim as they apply from inside. VG demo Demon, I'd just add 1 thing. 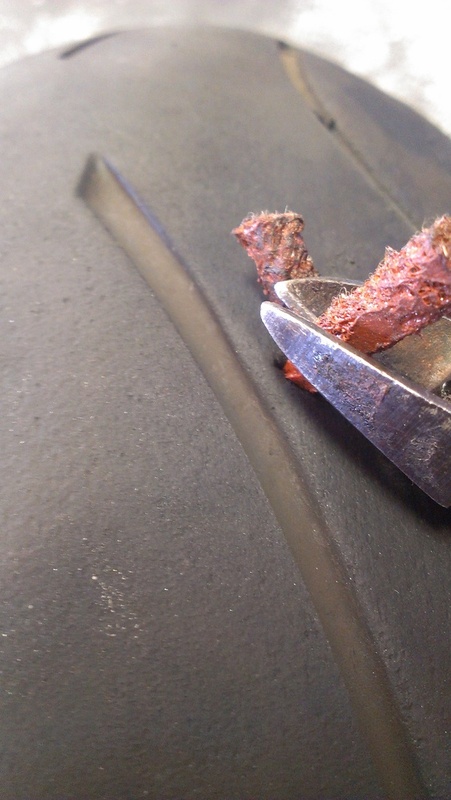 Now that your tire is plugged and you are able to limp away. Make your 1st stop a tire store to replace the tire. 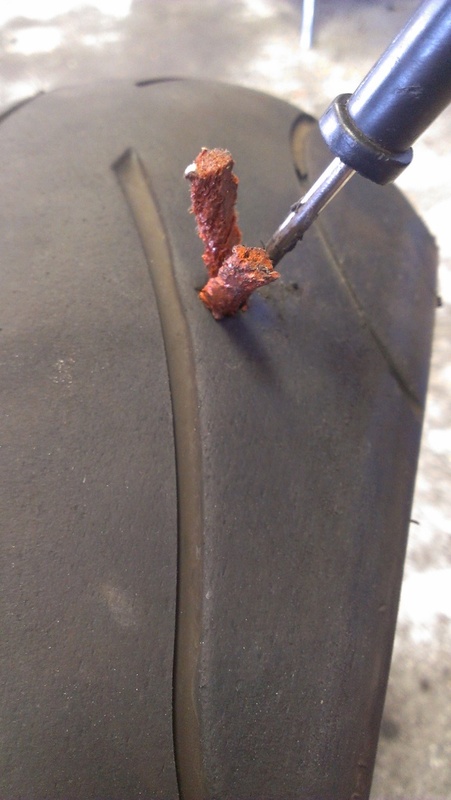 Never rely on a plugged tire, even with the plug-patch type. For a basic plug your tire is now speed rated at 50mph(if you live in the hot as hell SW try to keep tires cool as possible.) Plug-patch is rated at 70mph. Plugs do not 'repair' the tire, they are only band-aides to get them replaced ASAP. When a plug tears out on a tire it can be a catastrophic fail and the tire may blow and shred. Not fun when its a rear tire, scary as **** if not a crash when its a front tire. There are many places you can skimp or take shortcuts when it comes to a bike to save time or $$ that you can get away with. The ONE PLACE you can NEVER do it is your tires. Consider any loss of integrity to your tires as ALREADY pulling the pin on a grenade. It will go off and take you out unless you get rid of it ASAP. Now that you are able to get down the road after a successful plugging. Head ASAP to a shop to have the tire replaced. No JohnnyRocket. Conrice is not referring to the "remove the tire from the rim and patch from the inside". I think he was referring to the rubber speed plugs. As far as whether to continue to use a plugged tire or not, was not the intention of this "how-to" thread, although I agree that a plug is an emergency repair. In fact, it was a debate thread that inspired this one a few years ago. You see, we were discussing it and I came to find that not many people know how to plug a tire. I carry a kit with me (and a small bicycle hand pump) for emergencies and have used it three times to get me out of the same canyon I ride daily. What conrice is referring to is a plug that is installed in a similar way as the rope type in this thread. The plug looks like an umbrella or mushroom. It is pushed into an installation tool. The tool is then inserted into the hole, the plug is pushed out of the tool and it deplores. 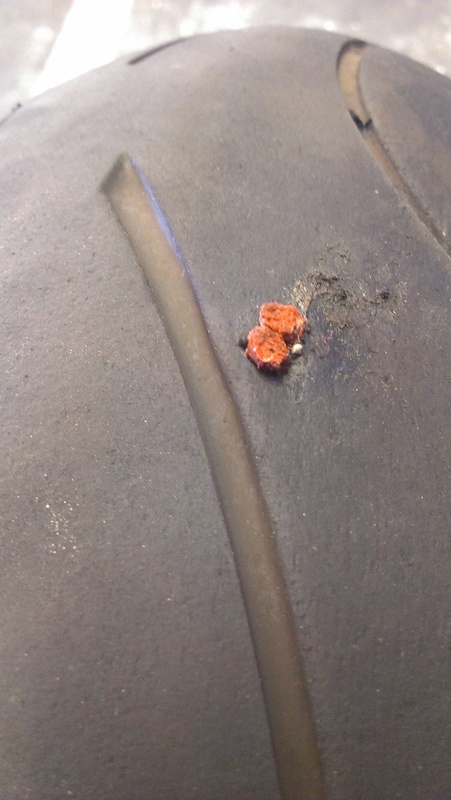 The plug is then pulled up against the inside of the tire surface. In theory, air pressure will hold the plug against the tire sealing it. A friend of mine bought the kit and he and I have both used it. We each had slight leaks so, I pushed the plug into the tire and sealed it with the rope type plug. I don't like the fact that, you need to drill the hole bigger for the installation tool. 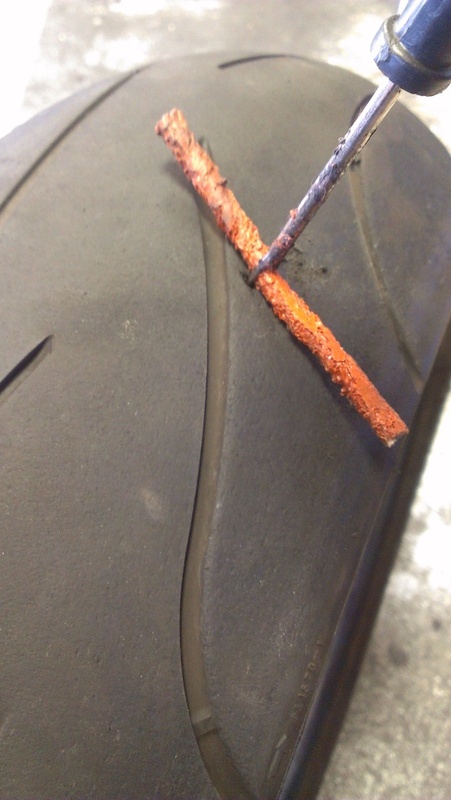 I have plugged many tire with great success. 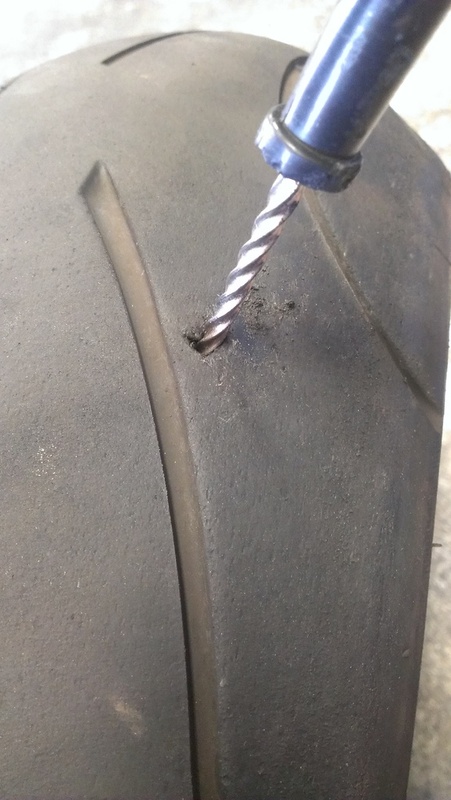 As mentioned in other threads, I wouldn't plug a front tire or any tire if it needed repair in the side wall. 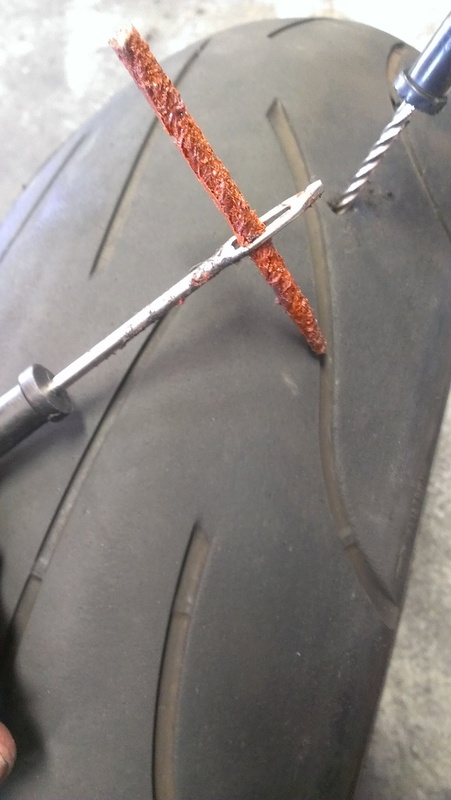 Tubeless tire when plugged would not blow out, they would leak down if the plug was faulty. Last edited by TimBucTwo; 10-24-2016 at 12:17 PM. It has come up a time or two in threads that usually start with "I just got a nail in my brand new tire...."
I wonder if those that are hard-over in the "change it" camp have experience in their position or they're just parroting the fear mongering (put out by tire manufacturers- he he he he...just thought I'd throw that tire manufacturer conspiracy theory in there - just like the oil change every 3,000 miles bit). FWIW- I'm a "change it" soon guy. But I have ridden on a tire with a plug (I didn't know it was plugged- it was well done, but knew it was used) with complete disregard for many, many miles with no ill effects.